Here LME Report is for Information purposes only and is not associated with Official LME or CME. This Data is Not Live This is Expired Old Previous Day Data and this must be known to all. We are Not responsible for any data error. What is LME Means / Definition of LME ? A commodities exchange in London, England, that deals in metal futures. Contracts on the exchange include aluminum, copper and zinc. Trading can be done in three main ways: through open outcry, a telephone system between member companies or the LME Select, an electronic trading platform. The LME is a non-ferrous exchange, which means that iron and steel are not traded on the exchange. 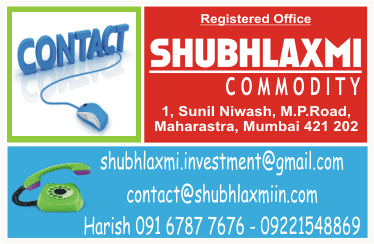 Importance & Role of LME Inventory in MCX Commodity Trading ? Commodity Inventories plays an important role in commodity trading, specially in future trading. It directly provides you an idea about commodity demand and supply. Inventories of commodities, with low inventories typically leading to more volatile future prices and increasing the risk of a “stockout” (inventory exhaustion). Commodity Calls collects the data for its members from various sources and present it for the your convenience. Inventory data of commodities is used on the relationship between inventories and commodity futures risk premiums. For traders of any kind it is important to wade through the volumes of available information and focus on analyzing data that is accurate, current and pertinent. The LME provides access to information that fits these criteria by publishing price data extracted as a result of general trading activities, which for many metals drives the global pricing mechanism. To understand why the LME is a primary source of market data, you must first grasp how the exchange operates. In essence, the LME allows traders to better predict future price movements or manage the subsequent risk. Traders regularly check to find out official price data to better inform their investment outlook, which has a flow on effect, impacting relevant financial and physical commodities markets worldwide. Note : LME Inventory Report here, has taken every precaution to provide the most accurate information possible. However it is provided without warranty or claim of reliability. It is accepted by the site visitor on the condition that errors or omissions shall not be made the basis for any claim, demand or cause for action. The information and data were obtained from sources believed to be reliable, but we do not guarantee its accuracy. It is the responsibility of the reader to perform proper duediligence before acting upon any of the information provided. It is the duty of the information provider to verify the accuracy and legality of the information they are providing and to accept liability for any actionable defamation or objectionable material which they provide. Supply and demand is perhaps one of the most fundamental concepts of economics and it is the backbone of a market economy. Demand refers to how much (quantity) of a product or service is desired by buyers. The quantity demanded is the amount of a product people are willing to buy at a certain price; the relationship between price and quantity demanded is known as the demand relationship. Supply represents how much the market can offer. The quantity supplied refers to the amount of a certain good producers are willing to supply when receiving a certain price. The correlation between price and how much of a good or service is supplied to the market is known as the supply relationship. Price, therefore, is a reflection of supply and demand. The relationship between demand and supply underlie the forces behind the allocation of resources. In market economy theories, demand and supply theory will allocate resources in the most efficient way possible. How? Let us take a closer look at the law of demand and the law of supply. The law of demand states that, if all other factors remain equal, the higher the price of a good, the less people will demand that good. In other words, the higher the price, the lower the quantity demanded. The amount of a good that buyers purchase at a higher price is less because as the price of a good goes up, so does the opportunity cost of buying that good. As a result, people will naturally avoid buying a product that will force them to forgo the consumption of something else they value more. The chart below shows that the curve is a downward slope. A, B and C are points on the demand curve. Each point on the curve reflects a direct correlation between quantity demanded (Q) and price (P). So, at point A, the quantity demanded will be Q1 and the price will be P1, and so on. The demand relationship curve illustrates the negative relationship between price and quantity demanded. The higher the price of a good the lower the quantity demanded (A), and the lower the price, the more the good will be in demand (C). Like the law of demand, the law of supply demonstrates the quantities that will be sold at a certain price. But unlike the law of demand, the supply relationship shows an upward slope. This means that the higher the price, the higher the quantity supplied. Producers supply more at a higher price because selling a higher quantity at a higher price increases revenue. Unlike the demand relationship, however, the supply relationship is a factor of time. Time is important to supply because suppliers must, but cannot always, react quickly to a change in demand or price. So it is important to try and determine whether a price change that is caused by demand will be temporary or permanent. Let’s say there’s a sudden increase in the demand and price for umbrellas in an unexpected rainy season; suppliers may simply accommodate demand by using their production equipment more intensively. If, however, there is a climate change, and the population will need umbrellas year-round, the change in demand and price will be expected to be long term; suppliers will have to change their equipment and production facilities in order to meet the long-term levels of demand. Now that we know the laws of supply and demand, let’s turn to an example to show how supply and demand affect price. Imagine that a special edition CD of your favorite band is released for $20. Because the record company’s previous analysis showed that consumers will not demand CDs at a price higher than $20, only ten CDs were released because the opportunity cost is too high for suppliers to produce more. If, however, the ten CDs are demanded by 20 people, the price will subsequently rise because, according to the demand relationship, as demand increases, so does the price. Consequently, the rise in price should prompt more CDs to be supplied as the supply relationship shows that the higher the price, the higher the quantity supplied. If, however, there are 30 CDs produced and demand is still at 20, the price will not be pushed up because the supply more than accommodates demand. In fact after the 20 consumers have been satisfied with their CD purchases, the price of the leftover CDs may drop as CD producers attempt to sell the remaining ten CDs. The lower price will then make the CD more available to people who had previously decided that the opportunity cost of buying the CD at $20 was too high. When supply and demand are equal (i.e. when the supply function and demand function intersect) the economy is said to be at equilibrium. At this point, the allocation of goods is at its most efficient because the amount of goods being supplied is exactly the same as the amount of goods being demanded. Thus, everyone (individuals, firms, or countries) is satisfied with the current economic condition. At the given price, suppliers are selling all the goods that they have produced and consumers are getting all the goods that they are demanding. As you can see on the chart, equilibrium occurs at the intersection of the demand and supply curve, which indicates no allocative inefficiency. At this point, the price of the goods will be P* and the quantity will be Q*. These figures are referred to as equilibrium price and quantity. In the real market place equilibrium can only ever be reached in theory, so the prices of goods and services are constantly changing in relation to fluctuations in demand and supply. Disequilibrium occurs whenever the price or quantity is not equal to P* or Q*. If the price is set too high, excess supply will be created within the economy and there will be allocative inefficiency. At price P1 the quantity of goods that the producers wish to supply is indicated by Q2. At P1, however, the quantity that the consumers want to consume is at Q1, a quantity much less than Q2. Because Q2 is greater than Q1, too much is being produced and too little is being consumed. The suppliers are trying to produce more goods, which they hope to sell to increase profits, but those consuming the goods will find the product less attractive and purchase less because the price is too high. Excess demand is created when price is set below the equilibrium price. Because the price is so low, too many consumers want the good while producers are not making enough of it. In this situation, at price P1, the quantity of goods demanded by consumers at this price is Q2. Conversely, the quantity of goods that producers are willing to produce at this price is Q1. Thus, there are too few goods being produced to satisfy the wants (demand) of the consumers. However, as consumers have to compete with one other to buy the good at this price, the demand will push the price up, making suppliers want to supply more and bringing the price closer to its equilibrium. A movement refers to a change along a curve. On the demand curve, a movement denotes a change in both price and quantity demanded from one point to another on the curve. The movement implies that the demand relationship remains consistent. Therefore, a movement along the demand curve will occur when the price of the good changes and the quantity demanded changes in accordance to the original demand relationship. In other words, a movement occurs when a change in the quantity demanded is caused only by a change in price, and vice versa. Like a movement along the demand curve, a movement along the supply curve means that the supply relationship remains consistent. Therefore, a movement along the supply curve will occur when the price of the good changes and the quantity supplied changes in accordance to the original supply relationship. In other words, a movement occurs when a change in quantity supplied is caused only by a change in price, and vice versa. A shift in a demand or supply curve occurs when a good’s quantity demanded or supplied changes even though price remains the same. For instance, if the price for a bottle of beer was $2 and the quantity of beer demanded increased from Q1 to Q2, then there would be a shift in the demand for beer. Shifts in the demand curve imply that the original demand relationship has changed, meaning that quantity demand is affected by a factor other than price. A shift in the demand relationship would occur if, for instance, beer suddenly became the only type of alcohol available for consumption. Conversely, if the price for a bottle of beer was $2 and the quantity supplied decreased from Q1 to Q2, then there would be a shift in the supply of beer. Like a shift in the demand curve, a shift in the supply curve implies that the original supply curve has changed, meaning that the quantity supplied is effected by a factor other than price. A shift in the supply curve would occur if, for instance, a natural disaster caused a mass shortage of hops; beer manufacturers would be forced to supply less beer for the same price.